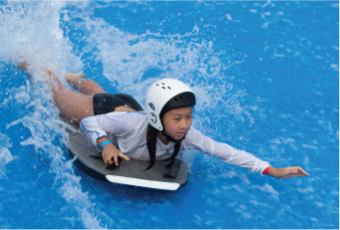 Offering a myriad of entertainment, sporting and outdoor recreation opportunities, the Singapore Sports Hub is the perfect lifestyle destination for kids, teens, friends and families. From trendy dining establishments to buzzing leisure spots, come explore, discover, and be inspired! 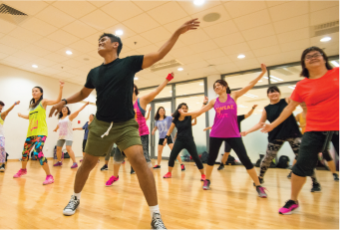 Build the body you want with the variety of exhilarating workouts at the Singapore Sports Hub! Whether you are a workout fanatic or an avid aqua enthusiast, there is something for everyone. Bring fun and laughter to your friends and family with these exciting activities! Conquer the rock wall, go on a bicycle tour, or simply lounge on the lazy river. Explore popular attractions and hidden treasures through a selection of walking tours and discovery trails! 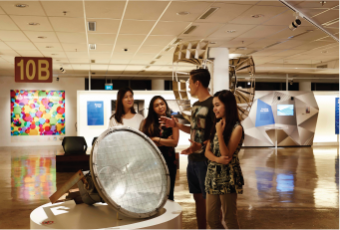 View kinetic art installations, or journey back in time through the history of sports. If your appetite for great food is as insatiable as your love of shopping, the Kallang Wave Mall makes for the perfect choice for family night out or date night!